A little dog named Dex was found as a stray and brought to the Austin Animal Center in Austin, Texas recently. 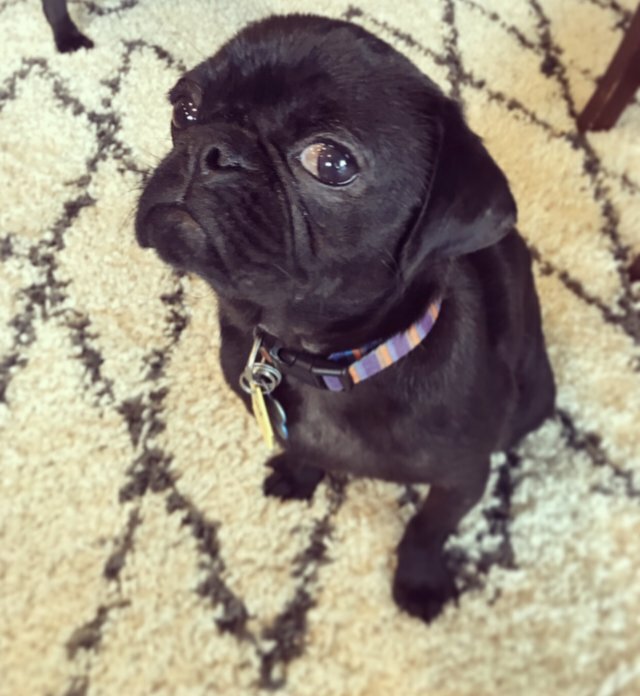 When he arrived, things did not look good for the young pug. Though he was just one year old, he only weighed ten pounds. Even worse, he had a terrible eye infection that meant he could lose his vision permanently. 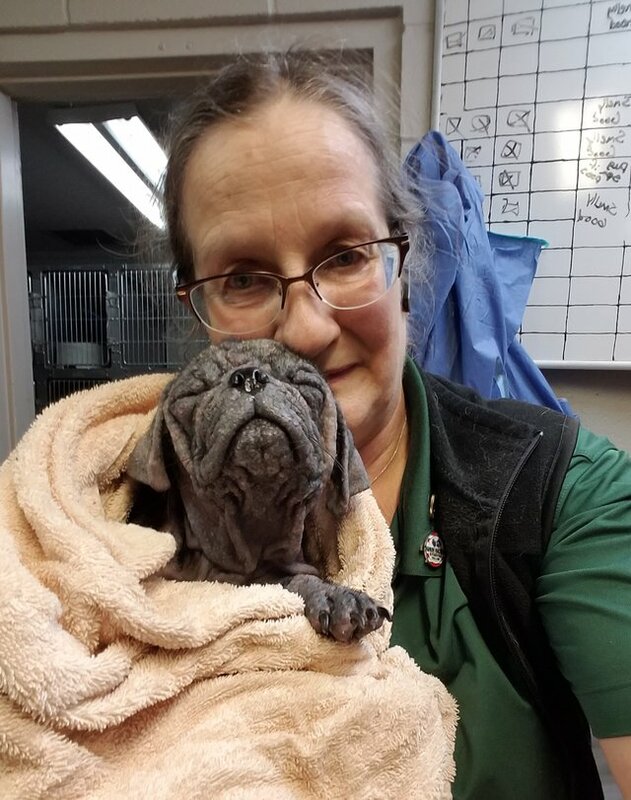 He was held as a stray hold in the shelter, which meant his family had time to claim him, and they had to wait for medical treatment until that time passed. 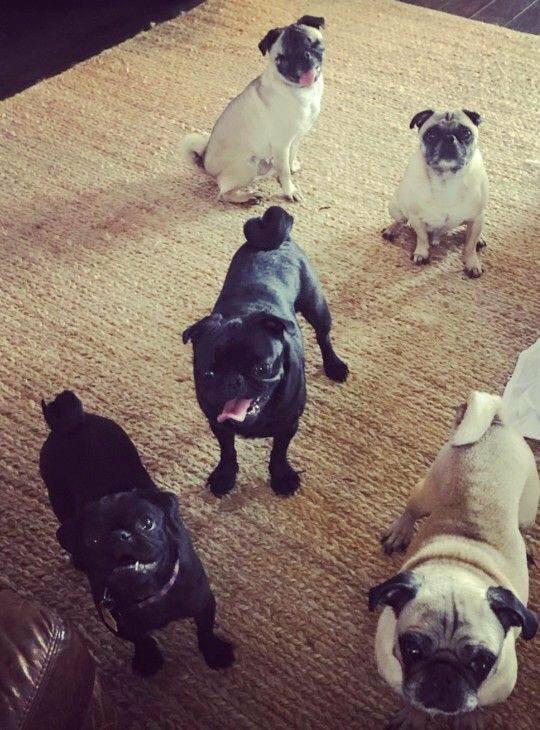 That’s when a group called Pug Rescue Austin came in to help Dex. 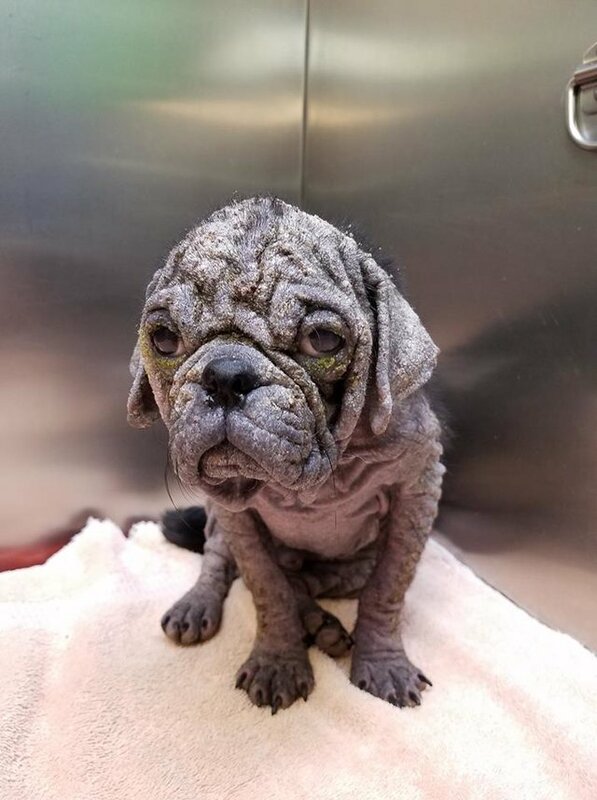 Dex was rushed to a medical facility, where it was discovered that he had a very severe case of demodectic mange that made him lose all of his fur. 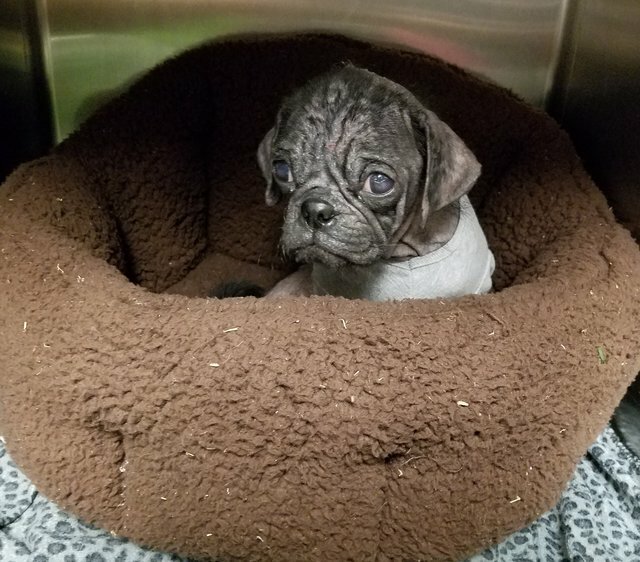 It was so advanced that veterinarians believe he had been suffering for over six months, which is half of the little pup’s life. Not only but he had dry eye and low tear production which led to a double eye infection. He had ulcers in his eyes which is likely due to constant itching from mange. 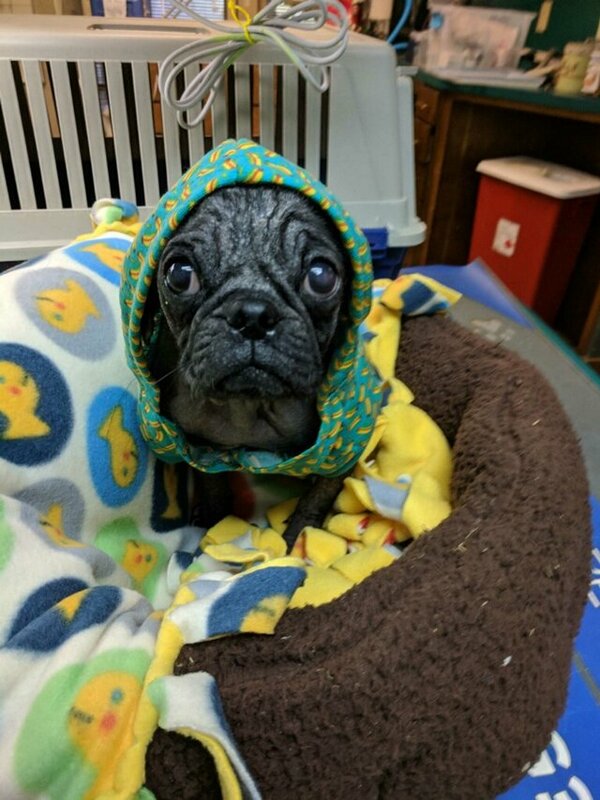 Doctors gave him pain medication, antibiotics, antifungal medications and gave him medicated baths for his inflamed skin. He had special eye drops too, as it was important to save his eyes and eyesight. He slowly recovered and the rescue group documented every step on their Facebook page. That’s where a woman named Beth Legacki fell in love with little Dex. 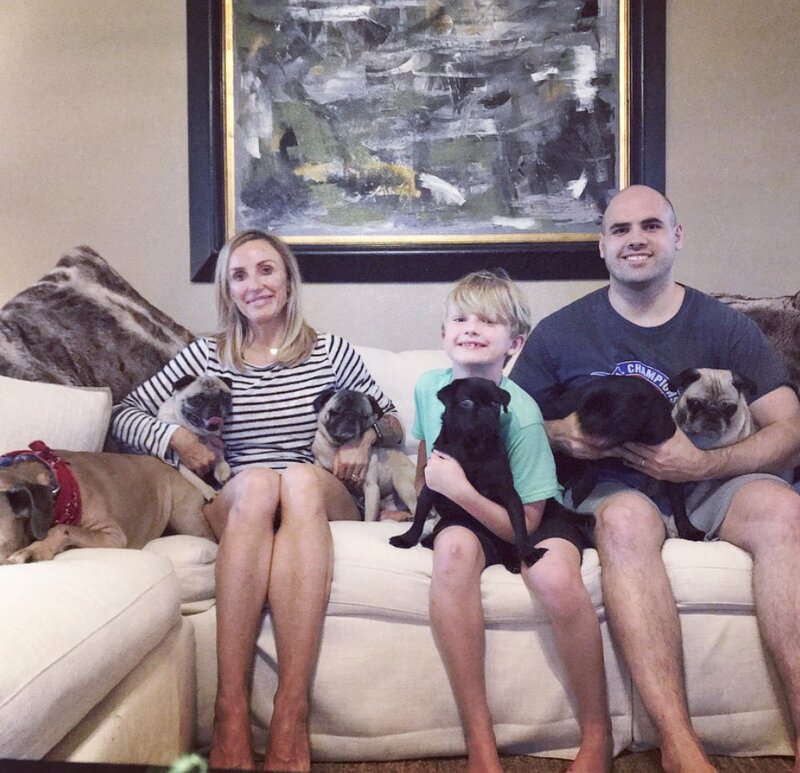 She and her husband and son have five rescue dogs in their home, including two from the Pug Rescue Austin group. 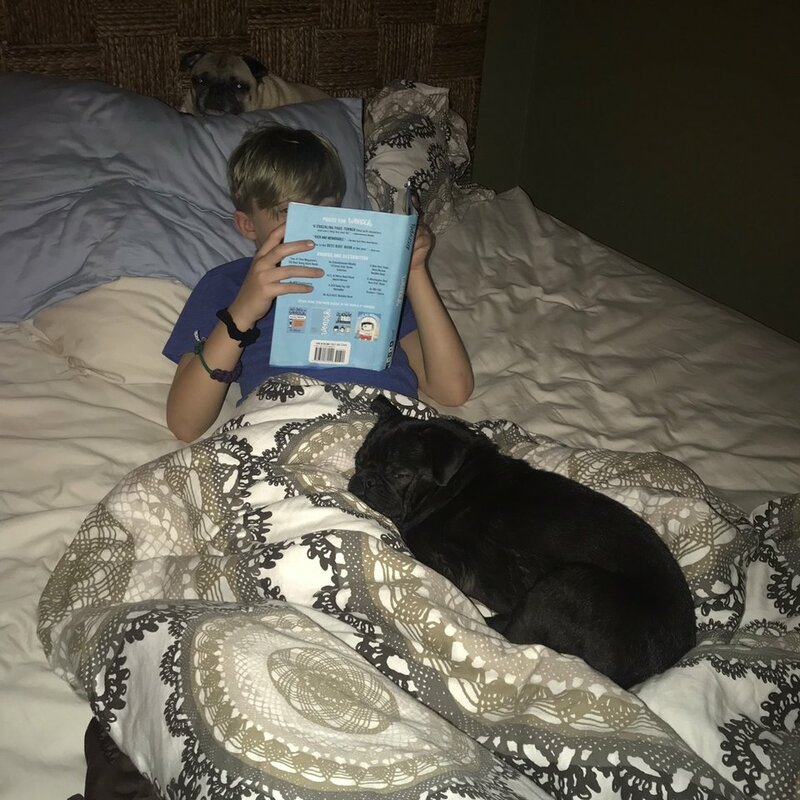 She knew that Dex was meant to join their family and was first in line to adopt Dex when he was well enough to leave the rescue. Dex, who was once alone on the streets and suffering now has a wonderful life—and five doggy siblings too!